The goal on Southern Savers is to save at least 40% on your groceries. When life happens or you have teenagers, sometimes 40% just isn’t enough to stay in budget and feed everyone. 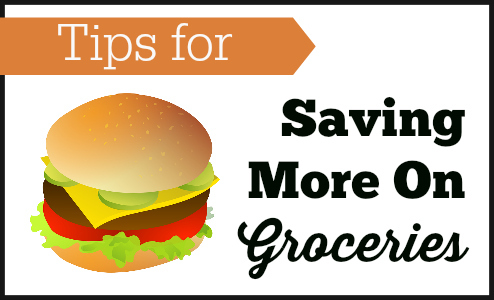 For those times when you need to maximize grocery savings, here are some tips for saving more on groceries. In order to maximize your savings, you have to start with the basics. This means knowing how to use coupons and shop sales. If you are worried about this taking too much time, just set a timer for 45 minutes. Start getting ready to shop by making your list on Southern Savers and printing coupons. Once that timer goes off, you’re done. Pack up and head to the store. If you are just getting started, you can watch a FREE online coupon workshop. You can also read getting started guides. Once you have the basics down, you can build on them. Keep in mind that your time is valuable. You do not have to print every single coupon to save. When that shelf is cleared, head to customer service. You can get a rain check for whatever item you wanted to purchase. That means they will give it to you for the sale price until the rain check expires. The best part is that they do not even have to be out of every item. If they are out of strawberry pop-tarts, they will write you a rain check for pop-tarts. This allows you to stock-up on exactly what you need. You can read more about maximizing rain checks here. If you try to stack an eCoupon with a manufacturer coupon at Publix, it’s not going to happen. Try it at Harris Teeter and you just scored a great deal. The key is to know the coupon policies of the stores you shop at. You can go here to read up on coupon policies. This will also save you from a lot of arguments with the cashier and time spent at the register. On the flip side, this will also enable you to make sure the cashier is following that store’s policy. One thing to keep in mind: policies change and communication can be poor between corporate and the stores. If you run into an issue, don’t be discouraged. Do your research and roll with the punches. We have a huge database of coupons on Southern Savers with thousands of coupons. The best deals happen when a manufacturer coupon lines up with a store coupon and sale. If you shop at Publix, be sure to ask at customer service for coupons. You will leave with a huge stack. Many other stores send out mailers or will have coupon booklets around the store. To go beyond that, if you have a Smart Phone you save more with Apps. You can download Checkout51, Ibotta, Berry Cart, Snap by Groupon, and SavingStar. When an offer matches with what you purchased, take a picture of your receipt and scan it. You’ll get the money back and be able to redeem the cash back when you reach a certain amount. You may love the customer service they offer at Publix, but Bi-Lo beats their meat prices every time. The key to saving is to shop where the deals you need are, but at the same time, there is no need to go to every store every week. You can pick 1-2 grocery stores and 1 drug store to shop at. To do this quickly, scan through the lists each week to see which store has more of what you need. Then go shop at that store. Two things to keep in mind: your time is valuable and gas is expensive. It really isn’t worth it to run out to Publix to grab one deal you missed. It will go on sale again. Not only does this make grocery shopping a mini-vacation, but you will spend less. I never noticed how many toys grocery stores have on every aisle until I was a mom. They will ask for every toy, box of cereal with a princess, and bag of cookies. Of course can say no, but life will be easier for everyone if you shop alone (and with a full stomach). In the age of Pinterest, I can find thousands of recipes for broccoli. But want to know a really delicious broccoli recipe? Steam it and add a little salt. That’s it. Okay, maybe you can add some butter too. The point is that you don’t need to add Craisins, nuts, and cheese. Not only will you eat less calories, but when you start grabbing an extra item or two for each meal, it really adds up. If it doesn’t add nutritional content, make it without it. Meat is expensive. One of the best ways to save is to buy it in bulk. My favorite place for this is the US Foods Chef Store. Other good options are Zaycon, Costco, Sam’s Club, BJ’s, and local farmers. This does mean that you may end up with 40 lbs of chicken. If you don’t have the storage space for that, go in with a friend and split the case. Grab some plastic bags and hang out while getting it all ready for the freezer. Saving money doesn’t have to equal eating every processed food that is known to man. An easy thing to do is to join a produce Co-Op. This will be a group that shops in bulk at the Farmer’s Market and equally divides up the produce. If you can’t find one in your area, you can even start one. If you are willing to get your hands dirty, you can eat for even less by planting a garden. This doesn’t have to be 40 acres worth of food. A few rows of tomatoes, squash, cucumbers, etc. will go a long way. If you have limited space, a great option is container gardening. 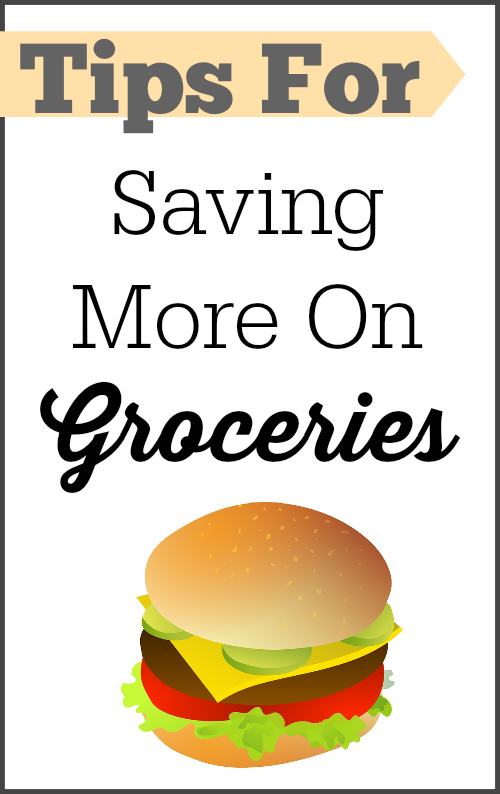 How do you save extra on groceries?